procedural and evidential reasons why the conviction should be overturned and Badawi should be freed. In December 2013, it was reported that the Court of Appeal had reversed the ruling of the District Court in Jeddah, dropped a charge of apostasy, and ordered that Badawi’s case be sent for review by another court. 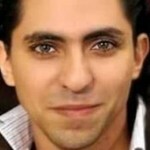 However, on 25 December 2013 the newly-appointed judge reportedly remanded Badawi to the General Court on charges of “apostasy”, stating that the lower court was not qualified to deal with the case. On 7 May 2014, Jeddah’s Criminal Court sentenced Badawi to 10 years in prison, 1,000 lashes and a fine of 1 million Saudi riyals (approx. US$266,631) on charges of “insulting Islam” and “founding a liberal website”. According to PEN’s information, when Badawi appeared in court to collect a written account of the verdict on 28 May 2014 he discovered the insertion of two additional penalties: a 10-year travel ban and 10-year ban from participating in visual, electronic and written media, both to be applied following his release. According to the Centre For Inquiry (CFI), in a post dated 17 September 2014, the Saudi appeals court in Mecca confirmed the sentence against Badawi, and states that the lashes will be administered 50 at the time, in public, every week after Friday Prayers. Update: On 9 January 2015, the Saudi authorities administered the first 50 lashes in a public flogging in Jeddeh. The flogging reportedly lasted around 15 minutes, during which Badawi’s hands and feet were bound. Further rounds of flogging were postponed for medical reasons, as his wounds had not healed sufficiently for more lashes to be given without jeopardising his health. New reports emerged on 1 March that he might undergo a re-trial for apostasy, which could lead to the imposition of the death penalty. In the beginning of June 2015 Saudi Arabia’s Supreme Court upheld a sentence of 10 years in prison and 1,000 lashes for insulting Islam. He has no further recourse to appeal. According to news reports, the Swiss Secretary of Foreign Affairs suggested that on 28 November 2015 Badawi had been granted a pardon by King Salmanbin Abdulaziz Al Saud of Saudia Arabia. However, he was not released. His wife was informed that he was transferred to an isolated detention facility in Shabbat Central prison. In protest, on 8 December 2015 Badawi started a hungerstrike. According to news reports, Badawi’s wife informed that he was in bad health after more than 20 days of thehunger strike. On 27 December 2015, she twitted that he was ‘losing conscious and passing out late night and this morning’. Health concerns: Badawi, who suffers from diabetes, is reported to be in poor health.